Footballers join Dutch Gay Pride Jump to media player A flotilla of Dutch footballers has joined the annual Gay Pride celebrations in Amsterdam. 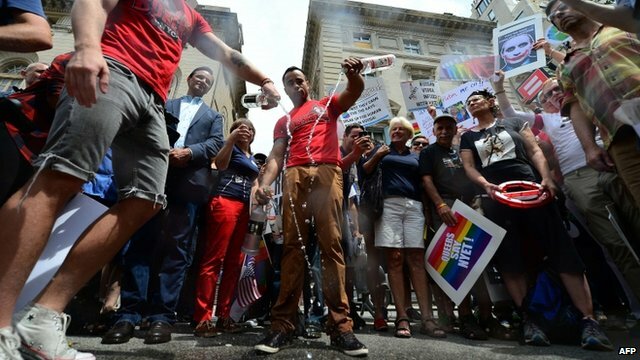 Gay activists target Russian vodka Jump to media player Gay rights activists in New York have dumped vodka onto the street as part of a growing global protest over new laws in Russia that target homosexuals. 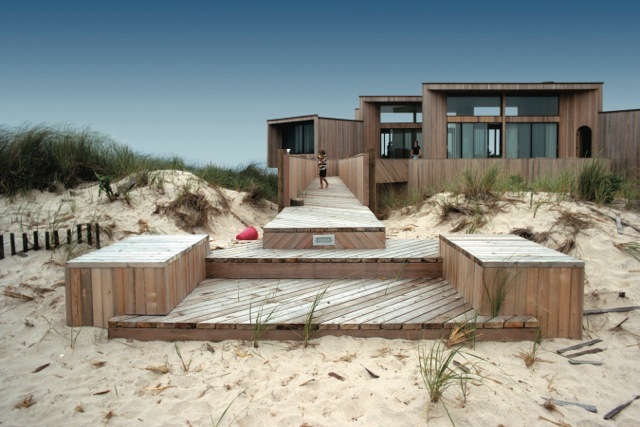 Fire Island: Architecture of seduction Jump to media player Historically, Fire Island has been a popular designation for gay and lesbian tourists from New York City. In a new book, Fire Island Modernist: Horace Gifford and the Architecture of Seduction, Christopher Rawlins examines modernist architect who helped shape it. 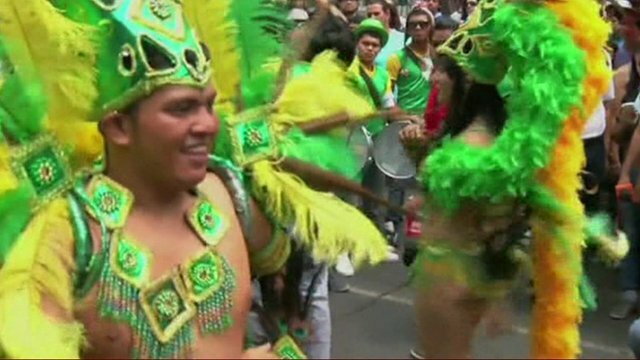 Global Gay Pride: View from parades Jump to media player Gay Pride parades and celebrations have been held in several cities all over the world, including London, Singapore and Paris. 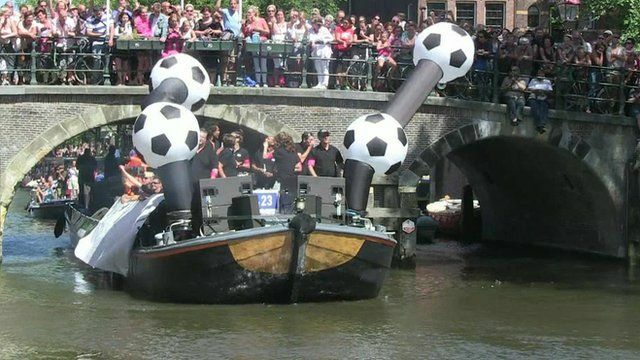 A flotilla of Dutch footballers has joined the annual Gay Pride celebrations in Amsterdam. Thousands of people gathered to watch the colourful procession of boats travel down the city's canals. 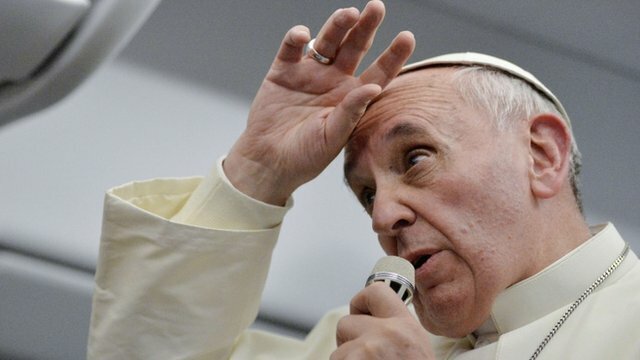 The event was also used by some as a chance to protest against the lack of gay rights in Russia.